This article is a comparative analysis of waterfall model versus the agile model of software development. Checking out this analysis may help you in choosing which model is conducive for your own software development project. Software development, like any other business process, has certain targeted goals which must be achieved in a fixed time frame. There are various strategies for achieving these software development goals. 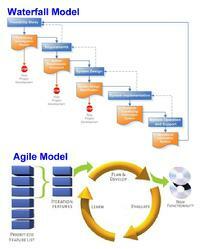 Two of the most popular software development models are 'Waterfall' and 'Agile'. IT Strategic Presentation Template Use this 8 slide PowerPoint senior executive presentation template to demonstarte your strategy plan. Use this Excel (2003 format) to evaluate up to 5 COTS software products with up to 147 criteria, 7 main sections and 11 sub-sections. Provides sub-section scoring, section score totals and combined scoring. Main Sections: Function, Integration, Standards Support, Vendor, Customization, Administration and Technology Environment.